Leski Auctions is a well-known auction house based in Melbourne, Australia. 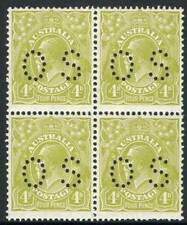 We specialise in Stamps, Coins & Banknotes, Sporting Memorabilia, Australian & Colonial History, Australian & International Art and Decorative Arts. 1989 $10 Silver Bird Series - Kookaburra Piedfort; superb in box. Australia 1993 $10 Silver Bird Series - Palm Cockatoo Piedfort; superb in box. Australia 1991 $10 Silver Bird Series - Jabiru Piedfort; superb in box. 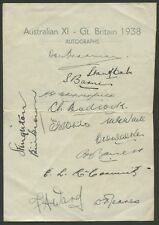 29 Oct.1929 (AAMC.145) Streaky Bay - Adelaide cover, Eyre Peninsula Airways Ltd.
Great Britain - 1858-79 (SG.43) 1d rose-red Plate 192 [IQ-JR] blk.4. Mint. Australia 1992 $10 Silver Bird Series - Emperor Penguin Piedfort; superb in box. New Guinea: 1914-15 (SG.6) 2½d G.R.I. overprint on 20pfg blue, Mint. 1897 (SG.353-4) Hospital Charity Fund pair, (2) the 1/- MUH, the 2/6 almost MUH. King George V Period: 1932 1/- Large Lyrebird, fresh MUH corner single. 1995 $10 Silver Endangered Species Series - Numbat Piedfort; superb in box. 1974 (SG.565) $1 Painting, upper right corner blk. (6) with variety [BW.644e]. Feb.1917 (AAMC.14a) Basil Watson flight postcard, fresh Unused. NEW GUINEA: 1915 (SG.O1) 1d on 3pfg brown, overprinted G.R.I. and O.S. Mint. 3rd Wmk: 10/- Grey & Aniline Pink, slight misplacement of Roo to upper left. First Wmk: 1d Red (Die 2A) with "Cracked Electro - State 1" variety. Used. 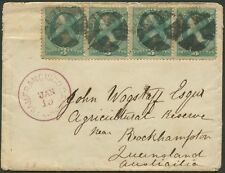 Western Australia: 1902-12 (SG.128) £1 Orange-Brown, FU. FOUR PENCE VIOLET: Plate 2 vertical pair [R6/12] with 'FOUR PENCE' Early State..